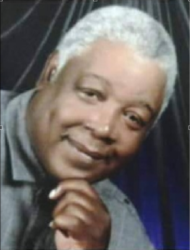 Mr. Harris was the owner and operator of TH Sanitation, Inc. Celebration of Life Service will be held 12:00 Noon Saturday, February 2, 2019 at United Apostolic Church of God (3125 Wesley Avenue, SW) with burial in Pine Hill Cemetery. 4JEHOVAH.ORG has been a source of hope & inspiration and we thoughtfully share. Earth has no sorrows that Heaven cannot heal.